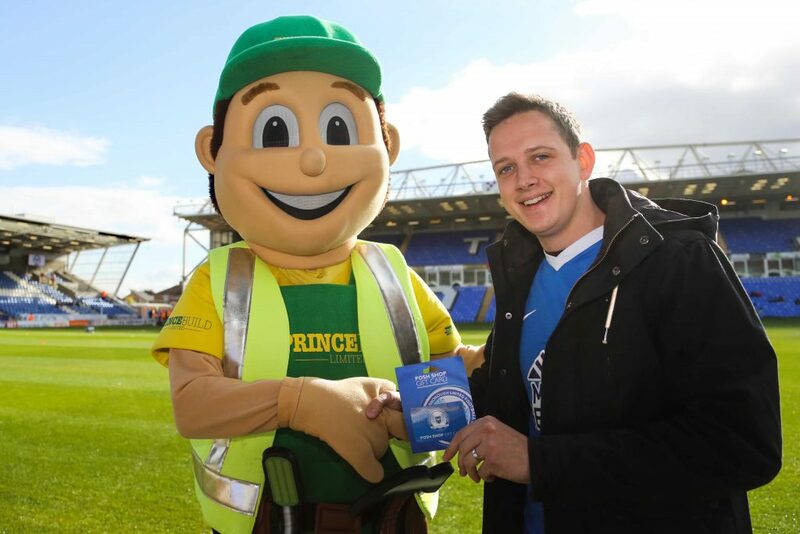 Half-time challenge winner takes home £200 in club shop vouchers! Peeby had been doing well and had saved all three shots in three games straight, however the Northampton Town game on 18th October saw Anthony Silverwood smash his run of clean sheets. Anthony was presented with his vouchers by Peeby on 22nd October at the AFC Wimbledon game.